US INTELLIGENCE OFFICIALS have concluded that Saudi Crown Prince Mohammed bin Salman ordered the killing of journalist Jamal Khashoggi, a US official said. The Saudi government has denied the claim. The Trump administration this week sanctioned 17 Saudi officials for their alleged role in the killing, but lawmakers have called on the administration to curtail arms sales to Saudi Arabia or take other harsher punitive measures. The US official familiar with the intelligence agencies’ conclusion was unauthorized to speak publicly about it and spoke Friday on condition of anonymity. The intel conclusion was first reported by The Washington Post. Khashoggi, a Saudi who lived in the United States, was a columnist for the Washington Post and often criticized the royal family. He was killed 2 October at the Saudi Consulate in Istanbul. Earlier this week, the top prosecutor in Saudi Arabia announced he will seek the death penalty against five men suspected in the killing. The prosecutor’s announcement sought to quiet the global outcry over Khashoggi’s death and distance the killers and their operation from the kingdom’s leadership, primarily the crown prince. But he has resisted calls to cut off arms sales to the kingdom and has been reluctant to antagonise the Saudi rulers. Trump considers the Saudis vital allies in his Mideast agenda. The Post, citing unnamed sources, also reported that US intelligence agencies reviewed a phone call that the prince’s brother, Khalid bin Salman, had with Khashoggi. The newspaper said the prince’s brother, who is the current Saudi ambassador to the United States, told Khashoggi he would be safe in going to the Saudi Consulate in Istanbul to retrieve the documents he needed to get married. The newspaper said it was not known whether the ambassador knew Khashoggi would be killed. But it said he made the call at the direction the crown prince, and the call was intercepted by US intelligence. She said in a statement issued to The Associated Press that the ambassador met Khashoggi in person once in late September 2017. After that, they communicated via text messages, she said. The last text message the ambassador sent to Khashoggi was on 26 October, 2017, she said. 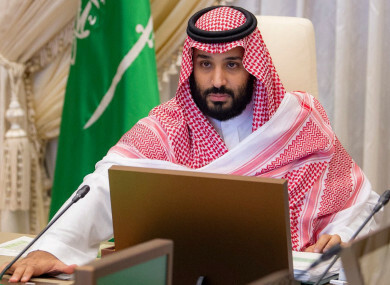 Email “CIA concludes Saudi Crown Prince Mohammed bin Salman ordered Khashoggi killing”. Feedback on “CIA concludes Saudi Crown Prince Mohammed bin Salman ordered Khashoggi killing”.